Designed from many years of Off-Road Racing. The PreRunner out performs the competition by incorporating the knowledge we have learned from hours of testing at actual Off-Road Racing Events. Such as the Baja 1000 and the Mint 400. We have made the PreRunner extremely effective on and off road. Is your vehicle two wheeled or four wheel drive? Is your vehicle lowered, lifted or still stock from the factory? Will you be installing shocks on the front or rear? What is the lift or lowered measurement if it is not stock? If Stock, put "stock". See our detailed shipping rates and return policies. 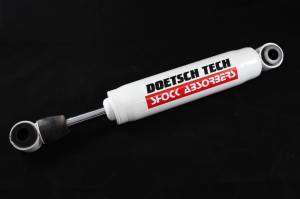 DOETSCH SUSPENSION is ready to release all kinds of news, sales and events. Collect them all! It’s easy, sign upnow and get started! Copyright © 2019 Doetsch Shocks. All Rights Reserved.